In the year of Darkness, 2029, the rulers of this planet have devised the ultimate plan. They will reshape the future by changing the past. The plan requires something that feels neither pity, pain, nor fear--a Terminator (Arnold Schwarzenegger). Part man, part machine, the Terminator is sent back to present-day Earth to kill Sarah Connor (Linda Hamilton), a young woman whose life will have great significance in the years to come. Sarah has a single ally--Kyle Reese (Michael Biehn), a young soldier sent from the future to protect her. The fate of the world lies with two humans who must defeat an unstoppable killing machine--the Terminator. 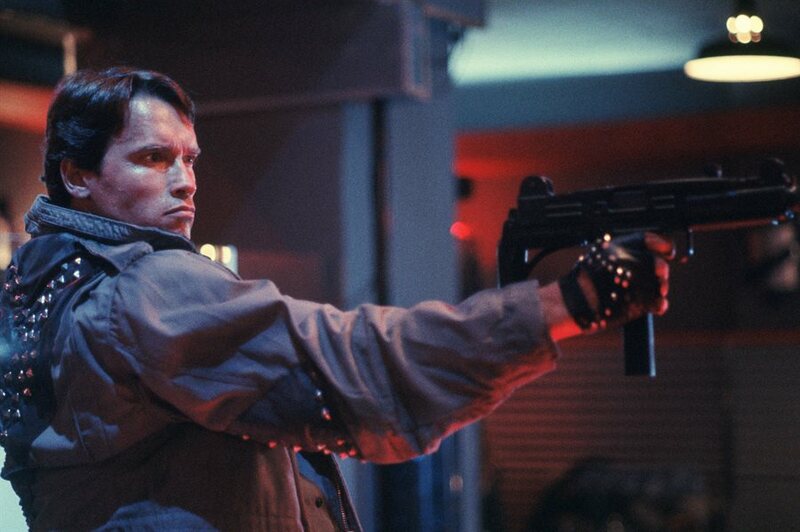 When casting The Terminator, Arnold Schwarzenegger was considered for Kyle Reese, the hero, and Lance Henricksen was cast as the cyborg from the future. But after reading the script, Schwarzenegger asked for the villain's role, and a movie legend was born. Download The Terminator in Digital HD from the iTunes store. Listen to the The Terminator soundtrack on Apple Music. 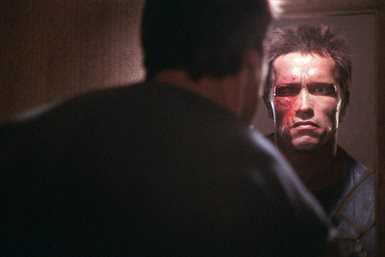 The Terminator images are © Orion Pictures. All Rights Reserved. 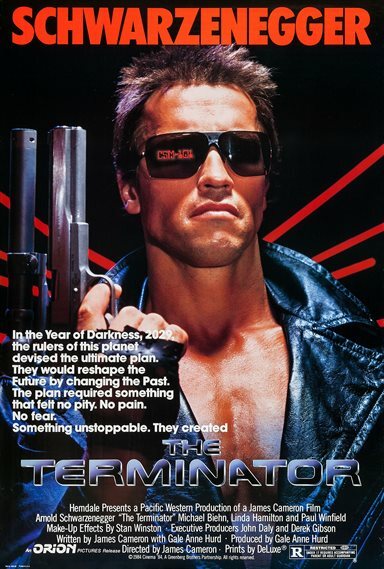 Suspenseful, thrilling, and visionary, James Cameron's (Avatar) 1984 sci-fi classic The Terminator spawned a host of sequels and even a short-lived television series a few years ago. While the revolutionary special effects may not seem as stunning as they once did in today's CGI world, the film's influence is still being felt in every science fiction action flick that has come after it. While its early-eighties sense of dread at the new world of connected networks and quickly improving electronic technology can only be looked at with a slight sense of bemusement in our socially networked society, Terminator will forever stand as one of the influences of such latter day classics as Ghost in the Shell and The Matrix. 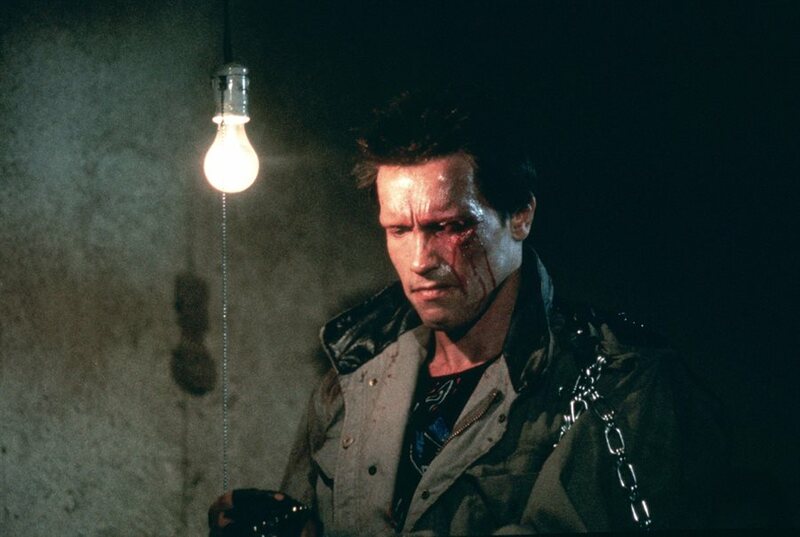 The story finds a young and very muscular Arnold Schwarzenneger playing a cybernetic assassin from the 21st century. He's been sent back to 1984 to terminate the seemingly harmless young waitress Sarah Connor (Linda Hamilton), whose yet-to-be-born son will play a pivotal role in the future war between man and machine. The only one standing in his way is Kyle Reese (Michael Biehn) a soldier sent back through time to act as her protector. 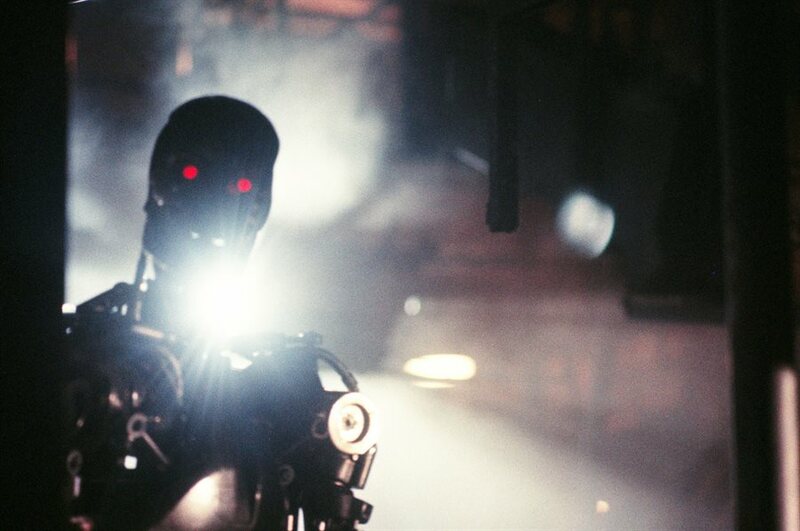 With its heart-stopping action, never ending suspense, and overwhelming sense of dread underpinned by a pulsating techno soundtrack, The Terminator is one thrill ride you won't want to miss. The sequel, Terminator 2: Judgment Day, takes place about 16 years after the first. Young John Connor (Edward Furlong) is living with a foster family while his mother, ranting about robot death machines from the future, is holed up in an asylum. Once again two beings from the future are sent back to present day, one is sent to kill, the other to protect. The twist this time around is that John's protector is another terminator, one that looks just like the previous one from the first film. 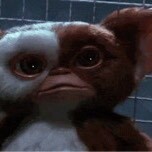 The sequel was the what shot James Cameron out of simple blockbuster director status and into a style all his own. The success of the film would allow him to go on to direct Titanic, which became the highest grossing film of all time. Eventually a third film came along, no longer helmed by Cameron but still starring the Governator (even if he did look quite aged at this point). John Connor (Nick Stahl) is now a young man, unsure of his destiny until, once again, a terminator shows up to warn him of danger. Apparently Judgment Day is inevitable, despite the events of the previous film and now there is an even more advanced terminator sent back to kill John and kick start the human/machine war. Anyone who pays attention to the subtle nuances of the film will have realized after watching that it signaled the end of the Terminator franchise. Without Cameron at the helm, the movie never found the right groove, instead relying on past techniques from the previous two films. By the time the 4th film came along, many had lost hope in a return to the style and subtlety of the first two incarnations and this film epicly failed to hold up. This story, set in the early days of the war, shows John Connor (Christian Bale) still attempting to come into his own as a leader. While this film may have garnered some buzz after the interesting trailer, it couldn't live up to the hype by the time it hit screens. Some blame could be placed on Bale himself after his tirade on set aimed at a cinematographer, and negative buzz about an actor never helps their upcoming films. The Terminator: A Retrospective. Other Voices: a documentary with James Cameron. Cast and crew interviews about The Terminator. 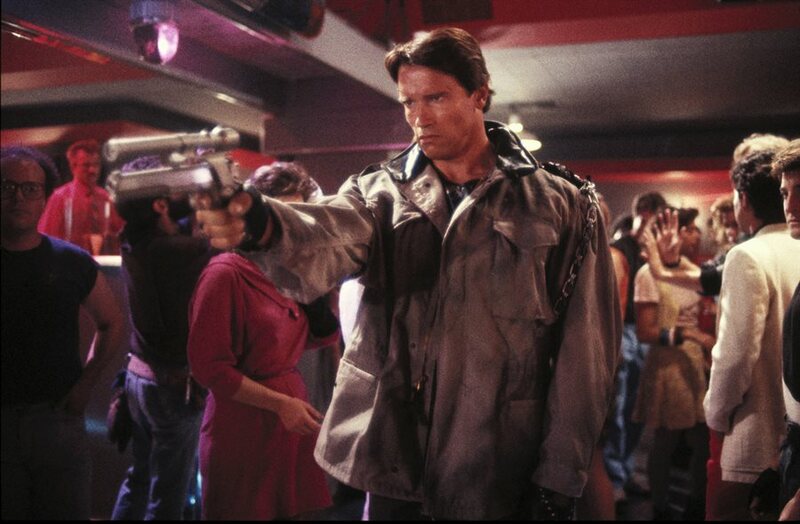 The Terminator: Deleted Scenes with James Cameron. 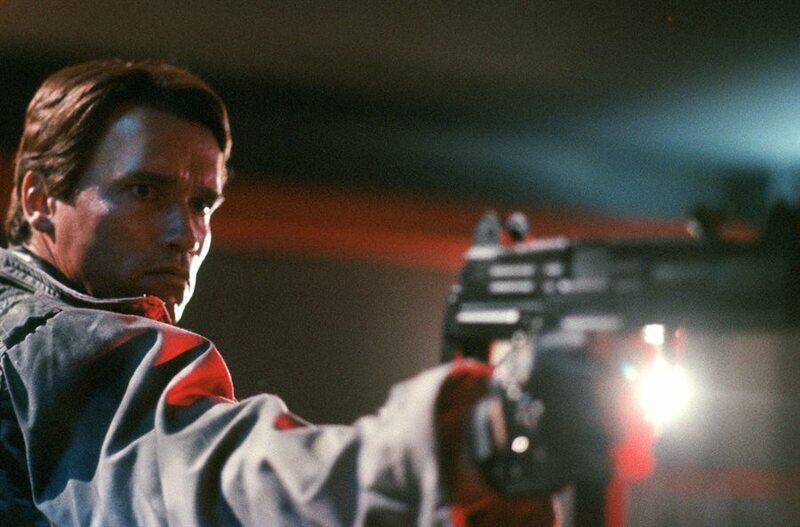 Audio commentary with James Cameron and writer William Wisher on Terminator 2. Terminator 2 cast and crew audio commentary. Terminator 2 Deleted Scenes and outtakes. 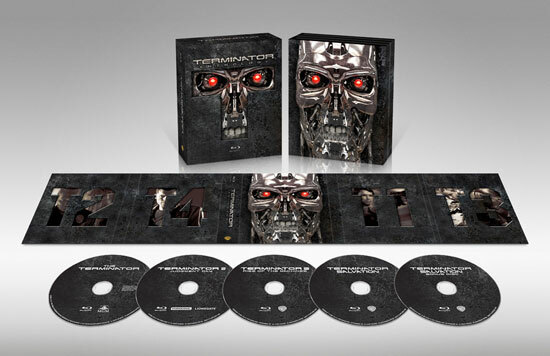 Over eight hours of interactive Terminator 2 special features, such as behind-the-scenes video and multimedia galleries, storyboard-script mode, quizzes, and games. Three audio commentaries for Terminator 3: Rise of the Machines. Terminator Salvation mythology timelines. Terminator Salvation: Re-Forging the Future documentary. All in all, that sounds like a pretty amazing anthology set and a worthy add to your collection, especially if you're a fan of the series. The first two films alone make this an excellent purchase, combined with all the extras and you're looking at a fun evening. While the final two installments may not have been what we hoped for, we can't argue with the wonderfully dark vision of the future these films added to our imaginations. 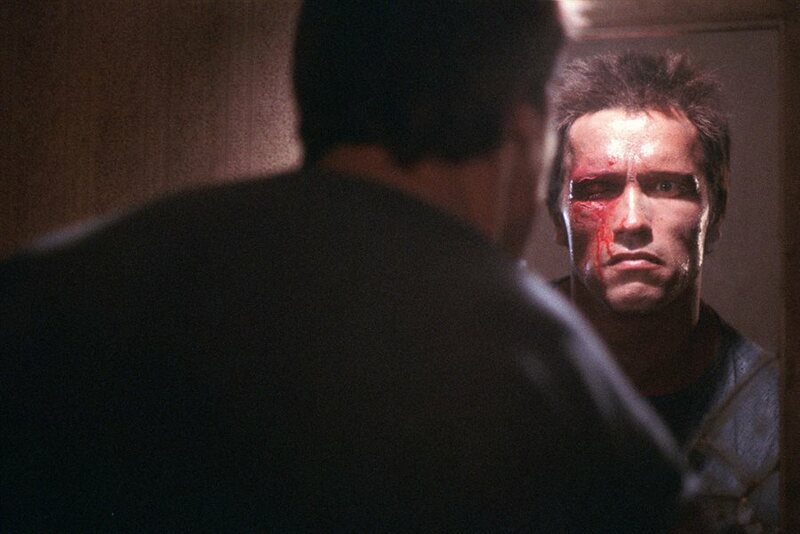 The Terminator images © Orion Pictures. All Rights Reserved. Carrie Fisher (Star Wars) turned down the role of Sarah Connor. Geeking out a bit. About to see #terminator for the first time on he big screen. Love this movie. Looking forward to the next one. Lazy Saturday. Watch a classic!